Waiting is always the key to success. No surprise then, that the masters of waiting are the richest people in the world. People who have discovered the potent delights of waiting enjoy what evades most. Waiters have found that far more is achieved when they wait than if they rush. They have learned that there is often a dire difference between taking the best available option and waiting for the best option. If you wait a moment, I'll explain what they know. About seven years ago I started a project I thought would take a few months to complete. As I undertook this, it soon became apparent to me that this Boreham Project - to make a documentary series of one of the greatest preachers and essayists of all time - would take a little longer than three months. After six years, four parts are completed (but still have to be re-edited and closed-captioned) and there remains one more concluding part to make. 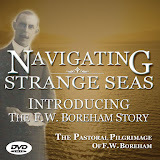 I have travelled to Victoria, New South Wales, New Zealand, and Canada to research, film and interview for this project. ¶ Be patient, therefore, brothers, until the coming of the Lord. See how the farmer waits for the precious fruit of the earth, being patient about it, until it receives the early and the late rains. Along the way to assembling this project, I have had to deal with several crises and other unexpected issues. 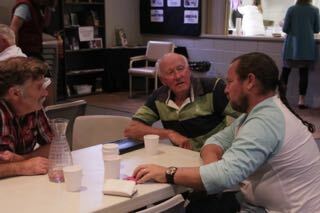 These included taking on the leadership of one of Australia's premier regional Christian Radio Stations (WayFM), the increased demands of leading ICI Theological College (which has quadrupled in student population over the last few years), and an invitation to be a founding National Leadership Team member of the Acts 2 Alliance. None of these are diversions from my God ordained mission - they are an expression of it. Added to this has been increased number of weddings I've been invited to do over the past few years (even though as these couples discover I don't do good weddings because my focus with them is about their marriage not so much about just the first day of their marriage) and each couple requires around 9 months of preparation involving monthly, fortnightly and weekly meetings as we approach their wedding dates. And lately I've been involved in a city-wide effort to hold a majorfestival at Easter. My Boreham Project has had to wait. In the midst of this waiting I discovered an ancient secret. Waiting is proportional to value. I must confess that I do not know if this was ever intended to be a secret. But it must be a secret because so few people know it. We live an instant-messaging, fast-food, microwave world. This impatience and tendency to rush has even impacted relationships. Such bizarre practices as "speed dating" may be amongst the most innocent expressions of this impatience while domestic violence and forced divorce are undoubtedly among the most damaging effects. It seems that the world is not prepared to wait anymore. What are you waiting for? This is often the world's summons to not wait. But I wonder if we shouldn't have a short list ready to answer the question? What are you waiting for? Knowing that the greater the wait the greater the value of the prize, I think more of us should wait up. This year marks our twentieth anniversary at Legana. Before I commenced as the pastor of Legana, the Lord spoke softly into my heart about His plans for our church. Even though we only had 17 members when we started, thousands of dollars of debt, and no facilities, the Lord showed me a church of over 300 worshipers making a "significant" difference in our State. I honestly thought the Lord would do this in just a few months or maybe, at the outside, a few years. I have too long been impatient about most things. Now, twenty years later we are beginning to see the fulfilment of this softly spoken word. The wait will have been worth it. Scripture tells the worshiper to wait for (on) God more than anything else. Because the value of the prize is so limitlessly great, the wait through delay, adversity, trial, obstacle, or disappointment is insignificant in comparison - it seems "but a few days". The apostle Paul called these kind of circumstances during our worship wait for God, "momentary light affliction" (2Cor. 4:17 "For this light momentary affliction is preparing for us an eternal weight of glory beyond all comparison"). God is infinitely worth the wait. If you're impatient, learn to wait. Of course, while waiting certainly requires patience, it doesn't idleness (just ask any professional waiter at a restaurant). While we wait, we are trusting. While we wait, we are resting. While we wait we are serving. We do this for a prize. For me, I'm waiting to complete my Boreham project. I'm waiting to see all that God has for our church in the time that He has us here. I'm waiting to see how my children blossom. I'm waiting to see our State turn to Christ. What are you waiting for? Please wait. As you know, you have three sets of ears. But what you may not have heard is that not everybody knows how to use them. You don't have to be deaf to not hear - you just have to not listen. Even though many people have ears on the sides of their heads that are in reasonable condition, they may not use them particularly well. This is called selective hearing. 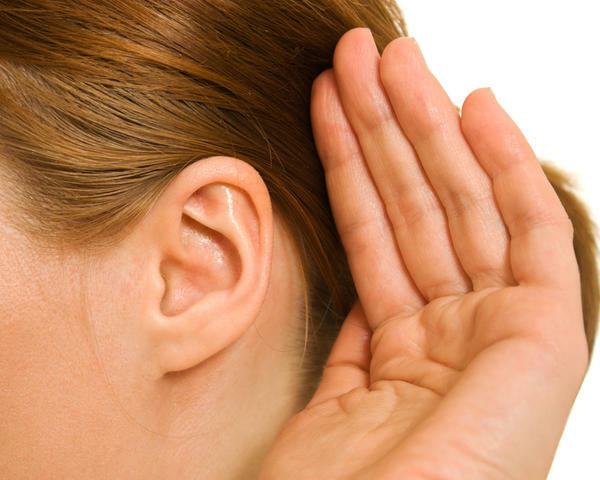 But selective hearing not only effects the outermost ears, it can effect a person's inner ears as well. Our second set of ears are not really "ears" because they involve our eyes as much as our ears. Hearing what someone is really saying requires seeing, looking, noticing, asking, and remembering. Even though we all have these second ears, it takes practice and training to learn how to use them. It seems that women are more adept at this form of listening. But when a man is introduced to his second ears it opens up a whole new way of seeing the world to him. It helps him to understand what his wife has really been saying to him. This is one of the most components in pre-marriage counselling when a couple is introduced to the five levels of communication (which start with clichés, then secondly facts, and so on). When we get to Level 3 communication, we introduce a new set of listening skills to the couple. This is a three stage process of listening. Stage 1 is "Active Listening". Stage 2 is "Reactive Listening". And Stage 3 is "Responsive Listening". Each stage is sequential. That is, you cannot do Stage 3 listening unless you've done Stages 1 and 2. This is one of the most difficult phases of the pre-marriage preparation for a couple. It requires learning to hear what they previously thought was criticism as heart. 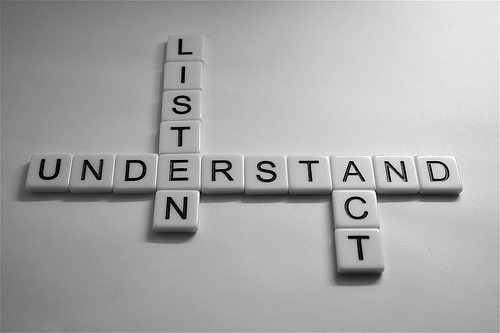 Reactive listening involves posture, mood, engagement, and openness. Have you ever tried to tell someone something they just wouldn't hear? Do people find it difficult to be frank and open with you? If you learn to be a positively reactive listener (give verbal cues that you're listening, smile with your eyes as they talk to you, don't interrupt them, don't be defensive, thank them for the courage and willingness to share with you) you may well find that more people want to talk with you. What stops us from hearing with our first two sets of ears? 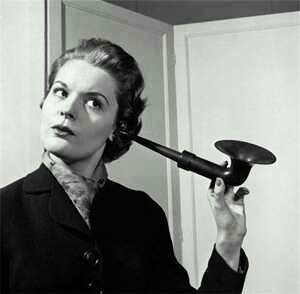 Even though your physical ears work adequately, you can zone out and not hear what someone is saying to you (this is a common complaint that wives have with their husbands). We might have a lot on our minds. We may be stressed. We may be disinterested. Even though someone is talking clearly and directly to us, we may not be hearing them. Listening with your first set of ears requires concentration and this requires practice. Even though we hear the words and sentences of the one talking to us, we can still mis-hear or even not hear what is really being said. This requires what we call in pre-marriage counseling, Level 3 hearing. This is where you begin to listen to other person's heart. In the West we automatically correlate heart with emotions. But in the Ancient World, the heart was where the mind resided. Often times someone is sharing their heart when they sound opinionated. It's easy to hear arrogance and miss that they are telling you they trust you enough to share their opinion with you. Hearing someone's heart does not come naturally. It might be possible to develop it without some training, but like anything learned the hard way, it would have to be learned the hard way. You could start by asking the one talking to you things like, "Help me to understand what you're really saying." "Are you saying...?" By restating to someone what you heard them say you are learning how to hear with your first two sets of ears. It's with your second set of ears that you hear and take note of what someone isn't telling you. These ears are used to hear hesitation. These ears are used to detect sadness, loneliness, excitement, fear, or care. But we all have a third set of ears. If our first two sets of ears require training and practise, our third set probably does as well. These are our spiritualears. We all have them - not just 'religious' people. I'm a professional communicator. I spend my life communicating with people. Despite it being my profession and despite how hard I work at it, I am still not heard by some. Even though I am speaking clearly and even though there is nothing obstructing the sound of my voice from being heard, and though my language and vocabulary are quite understandable, people still misunderstand me at times and therefore do not truly me. Successful communication involves two dynamics: what is communicated and what is communicated. To put it another way- what is intended to be communicated, and what is actually communicated. It is one of the most profound truths a person can experience. God speaks. You don't need to take a seminar on hearing from God because when God speaks to you the way we see Him often speaking to someone in the Bible, He was clearly heard by those He intended to communicate with. This was almost always at moments of 'Redemptive History' (those moments involving people and actions which played an indispensable role in God saving the world through Christ). Most of the fellowship that people enjoyed with God was generally far less dramatic and usually subtle. I suspect that most of the fellowship between people and God during Bible times is not described in the Scriptures. And you said, 'Behold, the LORD our God has shown us his glory and greatness, and we have heard his voice out of the midst of the fire. This day we have seen God speak with man, and man still live. "Whoever is of God hears the words of God. The reason why you do not hear them is that you are not of God." People who say that when God speaks there is always absolute clarity and certainty about what God has said, also say that there is nothing a person can do to be more aware of what God is saying. But there too many injunctions in the Scriptures to seek the Lord for this to always be the case. It is with our third set of ears that we hear God. For most of us, our biggest challenge will be learning how to use our first two pairs of ears. (It's uncanny how many people improve their spiritual ears after they've learned to use their first two pairs of ears). In the meantime, if you want to develop your spiritual ears, learn what the voice of God sounds like. Reading the Bible, attending worshipfully to the public preaching of God's Word, and regularly fellowshiping with fellow believers in an intentional small group, all help our spiritual ears to discern the voice of God with our spiritual ears. Do you hear me? His beloved home-city lay in ruins. The effects devastating conquest by its invaders had taken its toll. And to make matters worse, those who had been sent there a few years before with the task of repairing the city had despaired at the enormity of the task and done nothing. But now he had an opportunity to achieve in a few weeks what these others had failed to do in years. He succeeded. His success was due entirely to his "10 yards" strategy. And they said to me, "The remnant there in the province who had survived the exile is in great trouble and shame. The wall of Jerusalem is broken down, and its gates are destroyed by fire." When Nehemiah arrived in Jerusalem, he found the city in utter ruins, the Temple gone, and their city walls demolished. I said to the king, "Let the king live forever! Why should not my face be sad, when the city, the place of my fathers' graves, lies in ruins, and its gates have been destroyed by fire?" The task looked hopeless because the problem seemed too far gone. Many people feel like this with the problems they face too. But Nehemiah didn't the situation only like this. He saw the problem as a leader sees what most people see as an overwhelming problem. A high-level leader, like Nehemiah, sees overwhelming problems as a series of smaller problems. Rather than just seeing the miles and miles of problems, a seasoned leader has developed the ability of seeing these problems in a series of "10 yards" of problems. Inexperienced leaders who are daunted by the tasks before them will often make the mistake of delegating "miles and miles" of problems, and then wondering why competent help is so hard to find. Nehemiah turned up at the site of the former Jerusalem and assigned each family a task just 10 yards in length. When Nehemiah delegated the task of rebuilding the walls and gates of Jerusalem, he went first to those who were leaders already. Even though these people weren't builders, he had them model to the others what it was going to take to rebuild the walls and gates of Jerusalem. ¶ Then Eliashib the high priest rose up with his brothers the priests, and they built the Sheep Gate. They consecrated it and set its doors. They consecrated it as far as the Tower of the Hundred, as far as the Tower of Hananel. Wise parents with a growing family soon learn the "10 yard" technique with their children. Rather than assigning them to miles and miles of tasks (which cause most children to despair and shut down) they assign to them just "10 yards". When Jed is just two years old, his 10 yards might look like putting the salt and pepper on the dinner table for the family meal. His older sister Merga, aged four, has her 10 yards - to set the cutlery on the table. Her six year old brother Selwyn has his 10 yards to do by putting the glasses and drinks on the table. His eight year old sister Myrtle has the 10 yard task of clearing the table between courses and at the end of the meal. Her ten year old brother Reginald-James III does his 10 yards by washing the main course dishes and cutlery. His twelve year old sister Wilhelmina has to do her 10 yards by drying the main courses utensils. Her sixteen year sister Franscesca-Fern-Florantina has her 10 yards done when she washes up the dessert and drinking utensils while her fourteen year old brother Augustus-Archibald enjoys drying them up as his 10 yards. For the sake of time (and out of respect to the oldest child of this family who is in therapy for the trauma caused by his triple hyphenated European rhyming name) I will avoid detailing what the next five older children in this family have to do as their 10 yards, suffice to say, this family enjoys a pleasant nightly meal together and basks in the joy of their teamwork in making it happen. When Nehemiah presented the task to each family in Jerusalem to rebuild just 10 yards of the wall, we could reasonably guess that many of them who had previously been over-awed by the enormity of the project could say, "I could do that!" Nehemiah quickly got the job done of rebuilding the walls and gates of Jerusalem. He laid the foundation for the Temple to be rebuilt and for the spiritual revival of Israel after he organised for Ezra to come to Jerusalem. It's often very practical people who pool their 10 yards of effort together with others who are pooling theirs that enables great and seemingly impossible things to happen. You may be facing a problem that seems beyond you. You may not know where to start and indeed be afraid to start (being easily distracted by other things so that you never make a start is often a clue that this is what is happening). Try breaking your problem down into 10 yard segments. Instead of looking for someone to come and rescue you and solve your problem for you, invite others who offer to help by giving them just a piece - 10 yards - of the problem. In this light, from God's perspective, every local church is "10 yards" of the solution. And within each local church is the potential to make their 10 yards count if people within that church are given a clear model of what it looks like to repair just 10 yards. ¶ So we built the wall. And all the wall was joined together to half its height, for the people had a mind to work. 1. Pray 10 minutes a week for our church - particularly, 1 minute a day asking God to bless, keep, grow, protect. our church, and especially our leaders. Ask God for new souls to be saved. In addition to this, take 2 minutes on a Saturday night to pray for the following day's services. On Sunday morning before the church service pray for our church for an extra minute. 2. Give 10% - your giving makes a hug difference to what we are doing. It enables us to punch above our weight. It provides the resources for us to take the Gospel each week into hundreds of homes Live around State. 3. Say hello to 10 people each Sunday - by all means catch up with your established friends during our Sundays together, but could you say hello to another 10 people as well? Look them in the eye, smile at them and say, "Gidday, my name ... What's yours?" Our city is just 10 yards away from being touched with the Gospel for eternity. You don't have to win or reach out to all our city. But you can touch just 10 yards of it. "There's only one thing that won't change, and that's that things change!" - is what my senior pastor used to say when I started out in pastoral ministry. "For a church to grow it has to change!" he often used to say. History and suburbs are littered with churches that wouldn't change. They stand alone, cold, dark, dilapidated, and empty. While the church's mission and message does not change, its methods must. Change is here to grow. ...on this rock I will build my church, and the gates of hell shall not prevail against it. Jesus used "growth" language to describe the establishment of His Church. When our family bought our current home, it was an old, small, two-bedroom, weatherboard, farm cottage. In 2010 we transformed it into a two-storey, four bedroom executive home. The process of change involved a considerable amount of discomfort and inconvenience. Firstly, it cost us financially. Secondly, it meant having a bunch of strange people in our home. Thirdly, it became noisy. Fourthly, it meant we had to shuffle things around. Fifthly, in order to add the second floor our existing roof had to be taken off (you know the expression, "As long as I've got a roof over my head..." during this reno, we didn't!). Sixthly, it was smelly - the sweat of the workers, the fumes of the paint, the odour of the glues, the scent of the new flooring, and the addition of our new septic tank system! But it was all worth it! The benefits of this growth have outweighed the cost of the change. I think the analogy of building is valuable for any church to consider. The language that Jesus used to describe His church is the language of building, growing ... changing. The list of inconveniences that we went through to transform our farm house into a family home is equally true for a church. For a church to grow it will cost, involve welcoming a bunch of strangers, get noisy, cause some rearranging to happen, take you out of your comfort zone, and smell. But I can absolutely assure you - it will be worth it! The proof of whether someone has truly encountered Christ is whether they are becoming increasingly Christ-like. One of my primary roles as a pastor is not to do house-calls, but to help people understand what God they worship is truly like, and lead them in worship of Him. By beholding Christ in worship, we are incrementally and automatically transformed into His likeness. Before we knew Christ we swore, we drank, we lied cheated and stole. But then Christ gripped us and we beheld Him. We saw in Him the 'pearl of great price', our 'treasured field', and 'exceedingly great reward', and we forsook all and followed Him. We became a wet lump of clay in the Heavenly Potter's hands. He then began His work of transformation. He began spinning us. He began hollowing us out with His hands (one inner, the other on the outer). He applied pressure to us on the inside of our life and with His other hand He applied pressure to the outside of us. When He had finished with us on His wheel, He took us and thinned us so we would be adaptable in His hands. After He had shaped us into a vessel that was now tall and fashioned, He sat us on a shelf to dry. During this phase of our growth we felt abandoned, alone, and dry. But He hadn't left us. He was waiting for us. And when we were ready, He took us and applied His distinguishing paint to us. He then seemed to abandon us again by turning up the heat in our lives in His kiln. In this phase of our growth, The Potter stood off, seemingly aloof and uncaring - we rarely caught His caring eye through the inspection hole of the furnace. In the kiln, His paint on us fused into the clay and it formed a beautiful glaze. 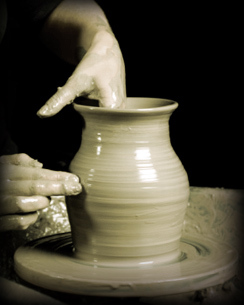 In the same way, the heat/pressures/trials of life are used by the Potter to beautify us as well as to harden us - so that we are useful for Him. 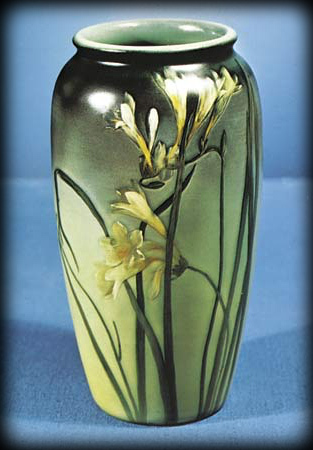 This is the process of growth for a lump of clay into a beautiful vase. One of the hallmarks of a mature Christian is that they endure despite not understanding what the Potter is doing! 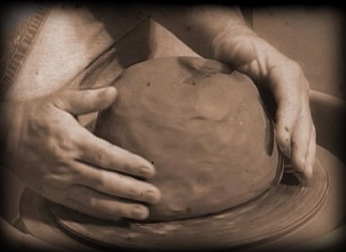 Similarly, churches undergo the Potter's shaping in order for them to grow. It starts by hollowing out the church. This is where the heart is - on the inside. For a church to grow in God's hands, it requires a new, enlarged heart. This heart firstly yields to the Father. "Father, have Your way in my heart" is a continual prayer of a church yielded to The Heavenly Potter. The result of this beautiful prayer is a change of heart toward others. Each Sunday changed-hearted church members look for others first not theirs (their friends, their family, their group members). Changed-hearted believers come to the assembly of the church and see others - a brother who is struggling, a sister who is lonely, a pastor who is disheartened, a drummer who is beaten, a guitarist who is highly strung. A changed-hearted church knows how to reach out as well to reach in. I've mentioned the story of our house renovation and the cost - not just financial - that was involved. But the end result was that our house grew into a home through building. I've also mentioned that spiritual growth involves a change of heart. Heart transplants come at a cost - not just financial. And the Bible also talks about a kind of growth that requires maturing. This comes at a cost (just ask any parent!). For an infant to grow into adulthood there are all kinds of costs. For a church to grow into a mature church there is a price to pay. As parents discover when their families grow, there is a price to pay when children need medical attention at the most inconvenient times, when sleep-ins become a distant memory as you're up before dawn on the coldest Tasmanian Winter's morn driving your four and five year olds to Saturday junior soccer, and when your daughters each get married to some guys who've each got 35 brothers and sisters and 212 uncles and aunties, who all insist on being invited to the silver-service reception at the Hotel Grand Sherihilton. As your children grow, there's education costs and multiple volunteer requests from the organisations they are involved with. Growing families come at a cost of money and time. I could also mention the physical drain of having worked all day and then coming home to give your children play/talk/homework time. Growing families come at the cost of energy. For a church to grow, there will always be a price to pay. Growth comes at a cost of finance, time, effort, energy, training, and strained emotions. Are we prepared to pay the cost? When a church is around 50 people, it is very easy for everybody to know each other. In a church that size, everyone has access to the pastor and the pastor enjoys having access to everyone. This begins to change when a church reaches 100 people. There'll always be a third of the church that you don't know, and now you have to wait inline to catch the pastor - or even worse still, make an appointment to see him through the week. And when a church grows to 200 there's a series of changes that have already taken place that some people will already be struggling with. Most people will not know two-thirds of those in their church. Neither will they be able to talk directly the pastor after the service anytime they want due to him ensuring that as many visitors are made to feel as welcome as possible. 1. Structure- changing from the non-Biblical model of the pastor does all the ministry, to the Biblical model of each member of the church shares their spiritual gifts in the way that God has called them to do so and submits to those God places over them. 2. Systems- changing from unwritten, arbitrary, habits to tried and proven methods that all members know and understand. This includes systems for how visitors are followed up, members are cared for, leaders are trained, problems are solved, rosters are done, property is maintained, and needs are prayed for. 3. Service- changing from a clergy model to a member-ministry model. Every member in the church become a partner with the church. As such they share in the cost by serving in prayer, time, efforts, and their spiritual gifts, with a servant heart. We are now at a very challenging place as a church. Can we change? My house and family tell me it's worth it, and I think Jesus does too.